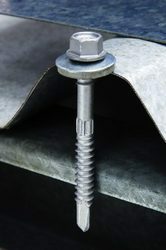 Our product range includes a wide range of drilling screws, e e screws and self drilling screw. 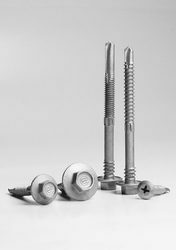 We are engaged in manufacturing a varied range Drilling Screw, that we offer in extensive varieties such as plated screws, galvanized screws and hot dipped screws and host of other specifications. Our glitch free products are acclaimed for their quality, design and performance. The products are valued for tuning tensile strength, efficient performance, hard wearing nature and cost effectiveness. We are the Largest Dealers and Suppliers of of our Products E E Screws in Tamil Nadu at Coimbatore, Hosur, Madurai, Salem, Erode, Tirupur, Kanya kumari, Tirunelveli, Dharmapuri, Tuticorin, Nagercoil. Understanding the fastening needs of different industries, we present our unique collection of Self Drilling Screw, which feature uniform threading, high resistance to rust, wear and tear. The raw materials used in manufacturing these screws is procured by us from authenticated suppliers. We are the Largest Dealers and Suppliers of of our Products Self Drilling Screws in Tamil Nadu at Coimbatore, Hosur, Madurai, Salem, Erode, Tirupur, Kanya kumari, Tirunelveli, Dharmapuri, Tuticorin, Nagercoil.